It’s almost the end of the school year! For some college students, semesters end next month; high school students have another couple months to go. Regardless, everyone is exhausted, and likely a lot of your school supplies have been used up by now! I recommend that you take a little shopping trip to replenish some school supplies so that when final exams come, you have a lot of creative supplies to make your studying anti-boring. In this video, I list some options for you. Take a look, and then let me know if you have any questions! Do your teachers and professors primarily use PowerPoint during their lectures? Do you find yourself overwhelmed when it’s time to study, because you have 60 or 70 slides to review for each test? Lately, I’ve had a number of folks working with graduate school students come through my training program (The Art of Inspiring Students to Study Strategically), and they’ve been asking me to give some more concrete ideas for how these students can work with the massive amounts of information that they are exposed to each week. 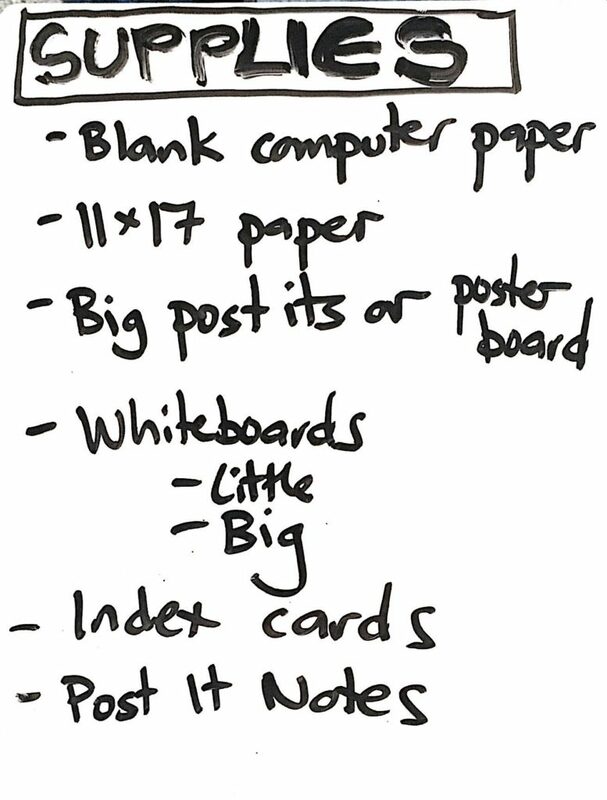 Heads up that next week I’ll be sharing a video about what kinds of supplies to buy and have at home that will help you create these cheat sheets in an anti-boring way! Stay tuned for that. 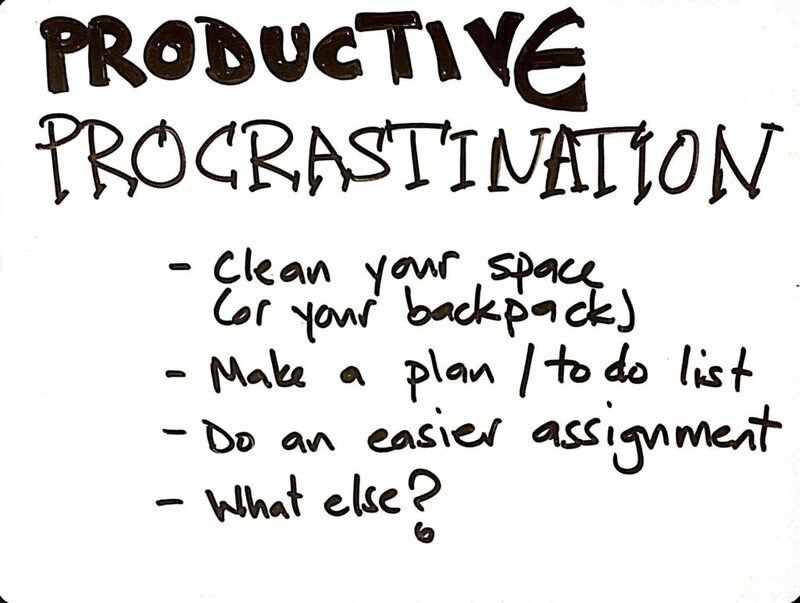 Did you know that there are some GOOD ways to procrastinate? Recently I checked in on a client (a sophomore in college) about how well she’s following through on a project plan, and she told me that she was doing terribly. However, it was a “productive” kind of terrible, because she was getting something else important done as well. This made me curious about how many ways there are to procrastinate productively, so I made a little video musing on this issue. Check it out!! Make sure you watch until the end so that you hear the warning about how not to overuse this sneaky way of procrastinating. Parents of teens often ask me where their students should be putting their cell phones while they’re doing their homework! I’ve often given a specific answer (which you’ll hear about in the video), but I’ve never read the research that backs my advice up! This New York Times article about the dangers of having your cell phones out while you’re doing work. It’s humbling, and something that we ALL should consider, adults and teens alike. In fact, as I’m writing this blog post right now, I’m noticing my cell phone in the corner of my eye, so I’m not even following the article’s advice! Gosh, it’s hard to be human in this digital age. Check out the article here, or watch the video for my commentary. It’s gift giving season! I’m actually TERRIBLE at giving gifts at specific times of the year — birthdays, holidays, etc — but I’m GREAT at giving them when the spirit moves me, and I see that one of my clients has a need. In today’s video, I thought it’d be fun to show you the contents of my “Gifts” basket that I keep on my office bookshelf. I love to purchase fun or useful things when I”m out and about, and then I have them available to pop into the mail when the spirit moves me. Let’s take a peek in my basket! Do you know of other gifts that are fun to give students? I’d love to add them to MY basket. Please hit reply and let me know. 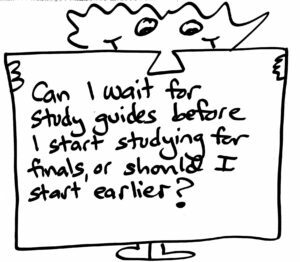 Should You Wait for the Study Guide to Start Studying? I just got this question emailed to me, and I’m excited to share some reflections with you all. 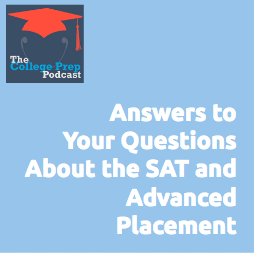 It’s not a straightforward answer, because it depends on how well you’ve been keeping up with the information you’ve been learning this semester. However, there ARE some concrete ways you can figure out whether you need to start studying early. So watch the video, and let’s check it out! 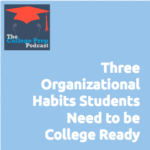 Whether you are in middle or high school, it’s not too early to put several key organizational habits into place that help you be college ready. In today’s episode, Gretchen shares a funny story about a conversation with students that happened recently when she went to water aerobics at the swimming pool of a local high school. She then unpacks that conversation to reveal three important habits for students to focus on building this year: (1) relationship building with professors, (2) knowing how to make time visible, and (3) learning tools for active studying. If they can successfully follow through with these habits, they will be able to take better advantage of their college experience. Click here to tune in for more details! Do you ever struggle to read difficult texts? I’ve had a few different videos on this topic lately because it’s such a buggaboo for many of my clients. In today’s video we explore a way to THINK about reading that might shift your ability to understand what’s in the text. 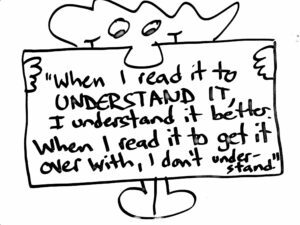 This tip comes to you courtesy of a client of mine, who made a brilliant observation about her own reading process. I just LOVE IT when my clients try the techniques I give them, but then come back with an even more brilliant observation of what works for them. Check out the video to learn a small little tweak my client has made in her thinking that has given her the grit to get through a difficult reading. Well-meaning teachers make mistakes when it comes to setting students up to study effectively! Listen in as Gretchen shares five mistakes teachers accidentally make, including tips for how both students and teachers about how to handle the fallout of these mistakes. Here is the list of mistakes Gretchen covers; tune in to hear her explain WHY it’s a mistake, and what teachers and students can do instead. Mistake #1 – We don’t teach them to study. Mistake #2 – We teach our favorite strategies without explaining WHY they work. We give instructions that students do or don’t follow, but without teaching the bigger picture. Mistake #3 – When we do teach studying, we often make it too complicated. Too many steps. Mistake #4 – We teach learning styles as if that is the answer. Mistake #5 – We don’t actively practice the tools we teach. Click here to listen in as Gretchen shares five mistakes teachers accidentally make! 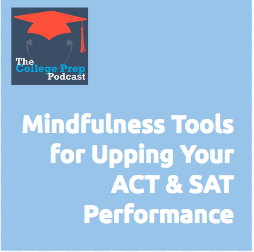 Did you know that WHERE you study can make a difference in how well you get prepped for a test? More about that topic in a moment. But first — wow!! We had over 180 educators (and parents!) sign up for the Study Cycle 101 Masterclass yesterday. I was particularly impressed at the countries that were represented: Peru, Venezuela, Azerbaijan, Beirut-Lebanon, Canada, Australia, Canada, and more!! It’s not too late to sign up if you’d like to watch the recording, and then participate in tomorrow’s Practice Labs! (Hint: During the masterclass I’m giving out a $100 discount code to my upcoming Art of Inspiring Students course, so if you’d like access to that, make sure to sign up. The discount is good through Friday evening). P.S. If you’re curious to read the original article from the New York Times, here it is: https://www.nytimes.com/2010/09/07/health/views/07mind.html? Do Adults Expect More from Teens Than We Do Of Ourselves? Students, today you’re off the hook because I have a super hard question to ask your parents and teachers! To all you grown ups — do you expect more of the teens in your life than you sometimes expect of yourself? In today’s video — filmed “on location” on my parent’s front porch in Houston, Texas (I’m here for a high school friend’s wedding) — I share some reflections about a trend I’ve been noticing. Over my 10+ years as an academic coach, I’ve been seeing an increase in adults expecting certain follow through from students that they don’t necessarily expect of themselves! I give two examples, one about teachers and another about parents. Please check out the video to hear more! Also, if you’re ready to walk your talk, parents and educators, I highly encourage you to sign up for my FREE Masterclass: The Study Cycle Live! 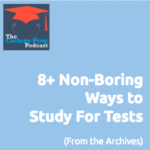 which will teach you how to actually get students to study effectively for tests and quizzes. Let’s learn how to apply the Study Cycle in our own lives AS WELL AS learn to teach it to students? After all, we ALL would benefit from learning how to save time and energy by studying strategically. ?Do you teach students learning styles at your school, or in your classroom or coaching sessions? Do you assume — as many educators do — that knowing your learning style can help you study and learn more effectively? Well, the research shows that this is not necessarily true! In this video I make the case for why we should all stop teaching learning styles — or at the very least, tweak the way we teach them. 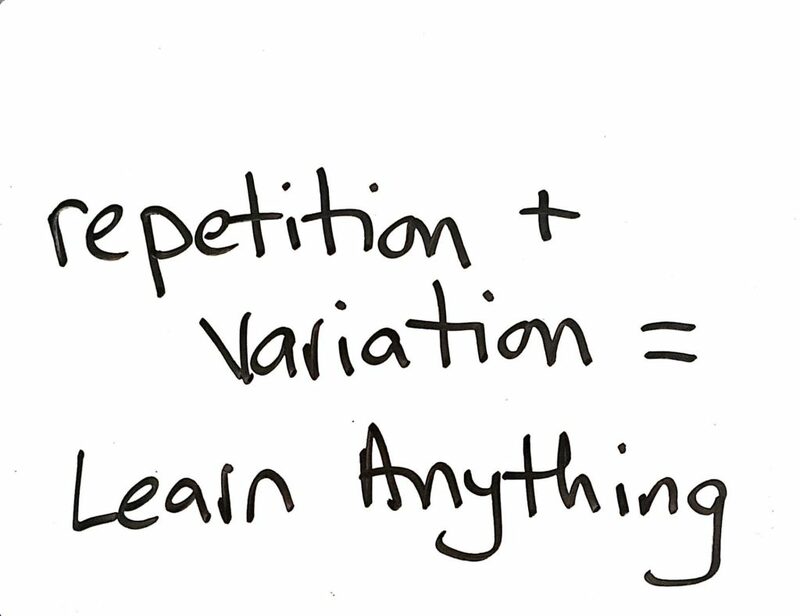 – If you watched the video and realize that we need EFFORT and VARIETY in order to learn, sign up for both! 🙂? 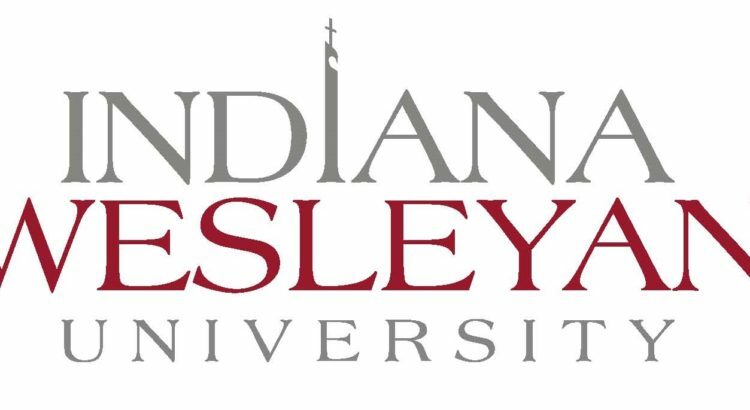 I interviewed Melissa Sprock, Indiana Wesleyan University’s Learning Center Director. I recently trained their staff in my Art of Inspiring Students to Study Strategically toolbox. As a result of this training, the Learning Center has overhauled three key services they provide students — their peer-to-peer tutor training, a student success class for “Conditionally Admitted” university students, and academic coaching in the TRIO program. This experiment has been so successful that Melissa and I are starting to do presentations at conferences around the country. However, I thought it’d be fun to do a “sneak peek” special for you, the folks in my community! Anyone was invited to attend, though the conversation is probably most relevant for high school teachers, college faculty, administrators, coaches — or anyone curious to see concrete examples of the Anti-Boring Approach™ tools in action. For the first half hour I interviewed Melissa about the process of transforming her learning center. Then for the second half hour we will see if you have any questions and open it up for conversation about how to teach study skills on the university level. Has your school gone digital, but you and your kiddo are at a loss on how to keep assignments straight? I’d like you to meet Marni Pasch, one of my star Anti-Boring Approach™ Certified Coaches. It’s August, we’re all revving up for the new school year, AND I’m excited to show off the expertise of the coaches who’ve gone through my Art of Inspiring Students to Study Strategically training. Towards the end of the last school year, Marni had a student who couldn’t keep track of their assignments because their school had gone digital! Keeping paper assignments organized has its own challenges for teenage students, but organizing digital assignments can also be quite a headache. Are you in need of expert academic coaching? Marni is available and you can find out more info here. She’s an awesome academic life coach based in Florida but available anywhere thanks to the miracle of the internet.